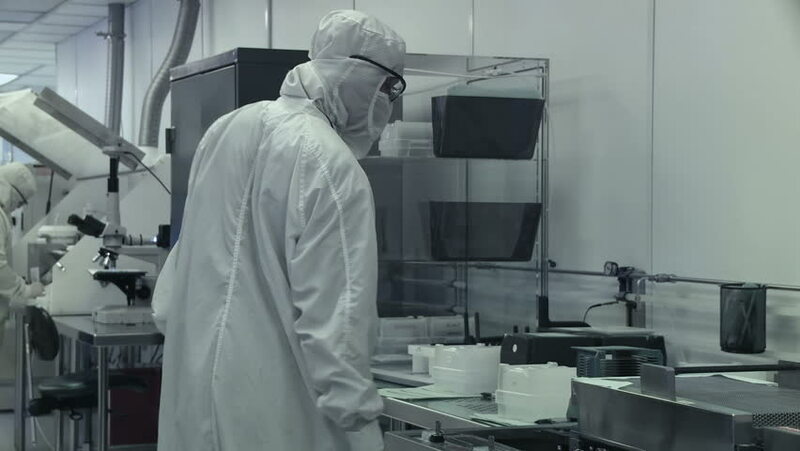 Scientist / technician writes a report and then returns to working on silicon chip manufacture in a clean room, wearing full body white "bunny suit" coveralls to avoid contamination. Wide view. sd01:481950s - ICBM missiles are built and tested in the 1950s. 4k00:10ROME, ITALY - MARCH 20, 2015: Different samples of milk are analysed by a woman in the lab before entering the production line inside an Italian cheese factory on March 20, 2015 in Rome, Italy. hd00:41CIRCA 1950s - Improper use of ladders and rushing can cause workplace accidents and injuries. 4k00:12Professional computer repairman fixes the phone. Workplace engineer for the repair of equipment.